Justin Trudeau announced on International Women's Day that a Canadian woman will appear on the next series of bank notes expected in 2018. And the Bank of Canada is now inviting nominations as to who should appear on the bill. This is our chance to have a say and perhaps at the same time make a statement. 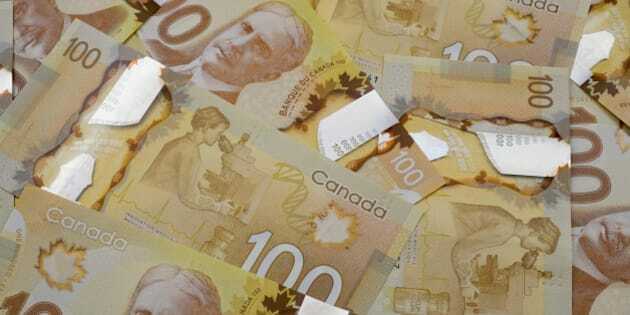 Justin Trudeau announced on International Women's Day this March 16 that a Canadian woman will appear on the next series of bank notes expected in 2018. And the Bank of Canada is now inviting nominations as to who should appear on the bill. This is our chance to have a say and perhaps at the same time make a statement. 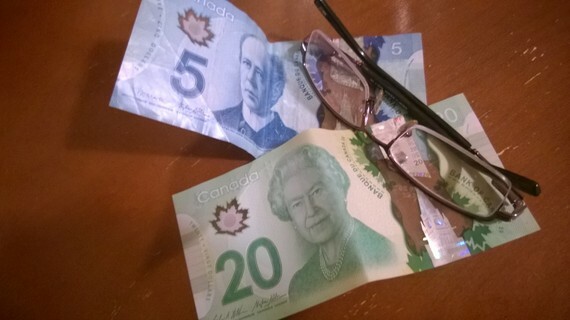 This is not the first time a woman will appear on Canadian currency. In the early 1900s, Princess Patricia, a granddaughter of Queen Victoria, appeared on the one-dollar bill. But while she was a very sociable young lady, some people may not consider her Canadian enough. The 2012 $100 bill with Robert Borden on the front side has a lady scientist looking into a telescope on the reverse side, but there is some controversy concerning its creation. It seems that there was objection from some members of focus groups to the original Asian-looking woman on the draft design and, in striving for a more ethnically neutral image, she was re-drawn to look more Caucasian. And most recently, the Royal Canadian Mint issued a loonie commemorating 100 years of women's right to vote, but a coin does not have the gravitas nor usually the spending power of a bill. And of course, we've always had the Queen -- but she is not Canadian and, one could say that since she's representing the British monarchy, just coincidentally a woman. Now is our chance to do it right. On the one hand, we could use this occasion to honour a Canadian woman for deeds done. Our first impulse may be to select someone famous, like author Lucy Maud Montgomery (of Anne of Green Gables fame), artist Emily Carr (associated with the Group of Seven) or Laura Secord (a heroine in the War of 1812). Or women's rights activists, like Thérese Casgrain, Idola Saint-Jean or the Famous Five (Emily Murphy, Irene Parlby, Nellie McClung, Louise McKinney and Henrietta Edwards). Or humanitarians like Lotta Hitschmanova or Margaret McTavish Konantz. Or politicians like Jeanne Sauvé or Agnes Macphail. Or early entrants into scientific fields like the first woman doctors, Jennie Kidd Trout and Emily Stowe, or the first woman astrophysicist, Allie Vibert Douglas. We could also look beyond the pale, literally, to other accomplished women like poet Pauline Johnson (half Mohawk and half English) and black abolitionists such as Mary Bibb, Mary Ann Shadd and Viola Davis Desmond. There would also be worthy candidates among the early Chinese and South Asian immigrant communities. On the other hand, we could use this occasion to honour an unsung Canadian woman and at the same time draw attention to an unresolved issue: the murdered/missing indigenous woman. She certainly meets all of the Bank of Canada's criteria for a "bank NOTE-able Canadian woman." With four white founding fathers occupying the front of four of our banknotes, it seems only right that a brown founding mother grace at least one. First, she is definitely Canadian -- more Canadian than most of us, the four men on the current series of bills, and certainly more so than the Queen. Second, while she is not famous or powerful, she is distinctive and fundamental to our lives in Canada. She has the distinction of being a member of the First Nations, and therefore one of the original people of this country. She is -- in heart and soul -- the mother of this land we all now call home. Third, she is unarguably iconic. Fourth and unfortunately, she meets the criteria that the nominated person must have been dead for at least 25 years -- this issue of missing/murdered indigenous women began at least 30 years ago, if not many more. The oldest case on record is that of Margaret Blackbird, who went missing nearly 65 years ago. And, most importantly, it is still a problem today, giving the choice of the missing/murdered indigenous woman an unsurpassed relevancy and urgency. One of the most recent cases was the death last year of 11-year-old Theresa Robinson, first thought to have been mauled by a bear, and now upon further analysis considered a homicide. The RCMP claim some 1,200 indigenous women have been murdered or gone missing over the past three decades. Patricia Hajdu, Minister for the Status of Women, said recently that research from the Native Women's Association of Canada puts the number at over 4,000. The issue is now so talked-about that press and social media have an acronym for it: MMIW. Selection of MMIW to depict on the front side of the banknote is also in line with the new Liberal government's concerns. They have promised to implement the UN Declaration on the Rights of Indigenous Peoples. More specifically, Minister of Indigenous & Northern Affairs Carolyn Bennett and Patricia Hadju have travelled across the country for three months, speaking to families of murdered/missing women in an attempt to shape a national inquiry on this issue and the recent federal budget has allocated $40 million towards it. Now, we could show the face of one specific MMIW, such the Margaret Blackbird, on the note. However, there is no photo of her and, besides, the issue is so much broader. The idea of commemorating a group -- versus an individual -- somehow makes more sense in our new kinder, gentler, more moral, and more socialist Canada that is trying to counter all manner of inequalities. By selecting an indigenous woman, we would not only be making a statement, but beginning a discussion. But how does one depict a group on a bank note? One way would be to simply do away with the idea of a single individualistic face and instead present several faces of representative MMIW. However, another and perhaps more powerful way would be to present a faceless indigenous woman. The feature-less face would represent all indigenous women and certainly the many who are murdered/missing. It would reflect their unfortunate, anonymous and neglected status in our greater national society and also within their own community. It would enable us to put our own face or those of women we love into that empty space and thereby better empathize with their pain. And holding the note in our hand would serve as a constant reminder of the unfinished nature of the issue and the need for action. Women of accomplishment are the fortunate ones whose hopes and dreams have been largely realized, and while it's always nice to get further acknowledgement, they don't need it. MMIW, however, lie at the other end of the spectrum. And with four white founding fathers occupying the front of four of our banknotes, it seems only right that a brown founding mother grace at least one. Nominations close April 15. By selecting an indigenous woman, we would not only be making a statement, but beginning a discussion. Money can talk.